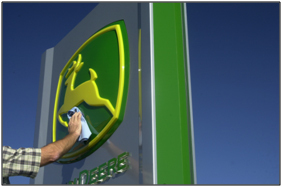 Dealers across Australia and New Zealand have set up a robust RTK network. RTK Extend is an industry-exclusive feature of John Deere RTK. This allows AutoTrac™ steering system to keep functioning for up to 15 minutes with RTK accuracy without line of sight to the base station. 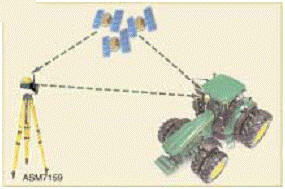 When using StarFire 3000 Receivers, the machine receiver automatically goes to the SF2 signal when RTK Extend expires. This allows operators to take advantage +/- 5 cm (2 in.) horizontal pass-to-pass accuracy along tree lines or hilly terrain. 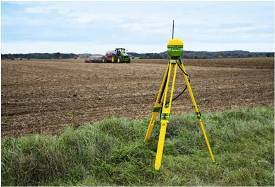 The availability of SF2 provides RTK users with the best available accuracy by lessening the impact of any given field condition. The machine will transition from RTK to RTK Extend, to SF2, and back to RTK without disengaging AutoTrac steering system. NOTE: The base station must be powered on for at least one hour for RTK Extend to function. RTK from John Deere provides highly accurate, repeatable corrections from global positioning system (GPS) to John Deere's suite of precision ag applications. RTK utilizes a local, ground-based reference station that transmits the high-accuracy corrections to a StarFire™ Receiver on a machine via RTK radios. StarFire RTK accuracy depends on the distance between the base station and the machine. The shorter the distance, the more accurate the system will be. In general, the accuracy of StarFire RTK is described below. RTK accuracy provides many benefits to the user as well as highly accurate corrections to a suite of John Deere precision solutions. Receivers utilizing this type of signal correction have repeatable +/- 2.5-cm (1-in.) horizontal pass-to-pass accuracy and +/- 5-cm (2-in.) vertical pass-to-pass accuracy. 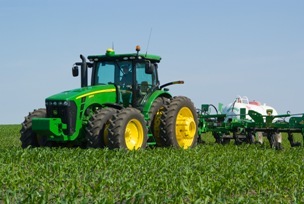 A producer running RTK can operate at +/- 2.5-cm (1-in.) horizontal pass-to-pass accuracy. With less overlap, fewer inputs are used and overall costs can be reduced. Inherent to any satellite-based guidance system, drift occurs. Whether it is starting up a tractor in the morning or servicing it during the day, A-B lines can drift during those time periods. With RTK, satellite drift is completely taken out, because the stationary, local base station is now providing the corrections. 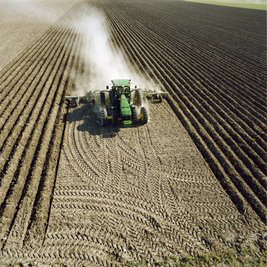 RTK also enables other John Deere products to provide greater precision and repeatability like implement guidance. The John Deere RTK Radio 900 operates in the 902-MHz to 928-MHz frequency range. This range does not require a license from the U.S. Federal Communications Commission (FCC), so the base station can be set up anywhere as long as it does not broadcast more than 4 W of power. For more information on FCC regulations of the 902-MHz to 928-MHz range, visit www.fcc.gov or talk to a local John Deere dealer. 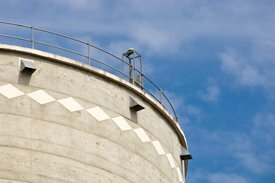 If a producer using RTK discovers a signal hole where the signal is lacking, a repeater radio can be easily set up to help fill the gap.